On Monday November 3, 2014 Columbia unveiled its Fall 2015 collection which I estimate would most likely hit stores around this time next year. The collection including a few interesting new projects. Columbia announced the re-launch of its new and improved high-end Titanium line of clothing and outerwear. They also discussed Vent + OutDry for footwear and recently launched TurboDown for those of you seeking warmth. TurboDown fuses down with Omni-Heat™ synthetic insulation for lightweight warmth and heat retention. A new baffle design (TurboDown Wave) helps eliminates areas where cold air might seep through. The new TurboDown insulation technology uses a combination of synthetic insulation and water-resistant down in each jacket baffle, all lined with Omni-Heat Thermal Reflective, with the goal of giving the wearer the best of both worlds in terms of performance. Tweaking the construction a bit more for Fall 2015, TurboDown Wave looks to further eliminate the cold spots where body heat escapes in more conventionally constructed insulated jackets–basically the stitching or seams between the baffles. You can basically think of TurboDown Wave as almost a double layer of offset baffles or even as adding an offset layer of down baffles to the underside of the current TurboDown construction. 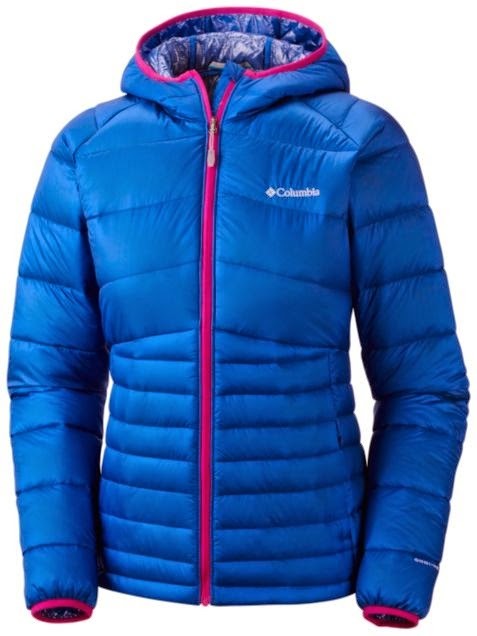 Rather than creating a traditional seam by sewing the lining and shell together to create the baffle, Columbia developed a unique method of jacket construction by combining 900 fill water-resistant down with Omni-Heat Thermal synthetic insulation running through the jacket in a ‘wave-like’ pattern with the down on both sides throughout the baffles. The lining and shell are stitched into this internal wave, rather than into each other. Learn more about this product and other great products at the Columbia website. If you enjoy learning about down and cold weather clothing to help you keep warm, you can also read our recent blog post about Fjällräven the Down Experts.